The Sonoma Historic Motorsports Festival 2013 was held the weekend of May 17-19 at Sonoma Raceway Sears Point in Sonoma, California. 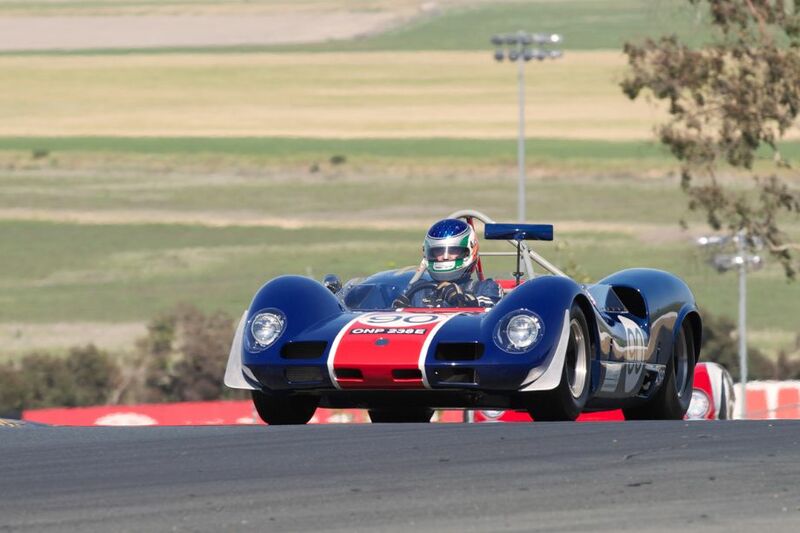 A strong crowd enjoyed the more than 350 historic racing cars participating in 15 race groups over the 12-turn, 2.52-mile road course located in Northern California’s wine country. 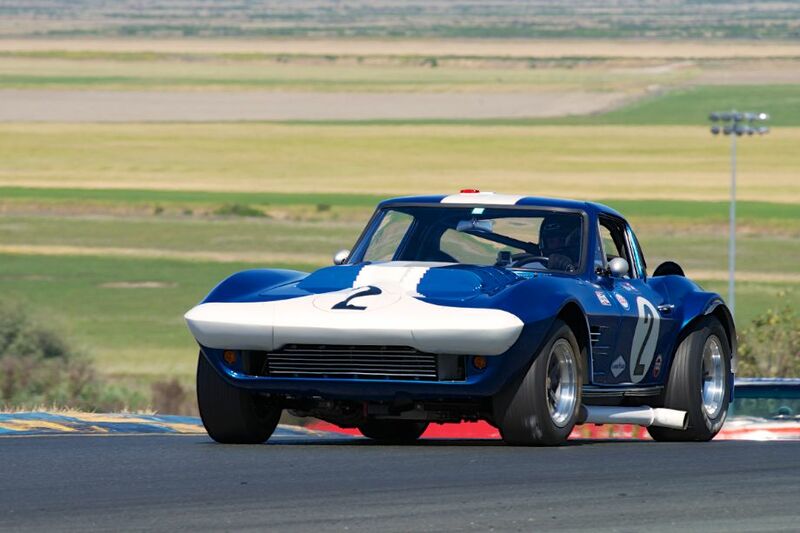 The 4th annual Sonoma Historics honored the 60th anniversary of the Chevrolet Corvette, as a banner entry of 32 Corvettes were among the featured vintage race cars at the event. 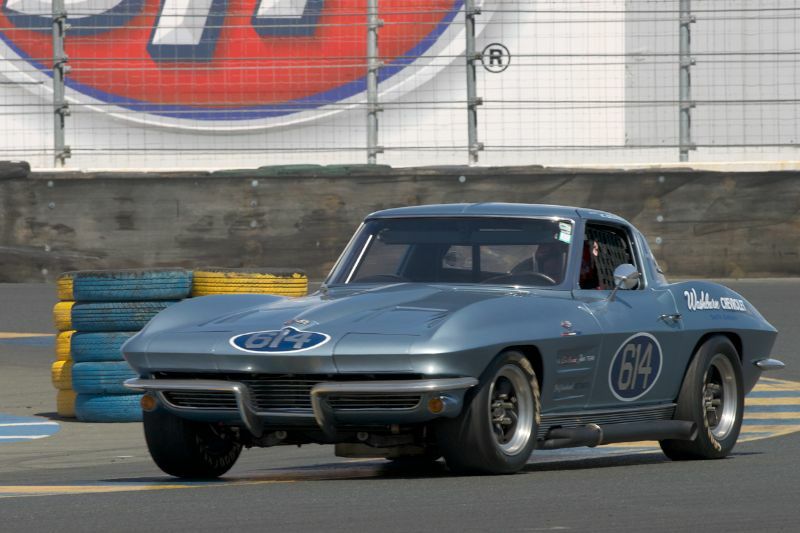 Three Corvettes finished first overall in their respective classes — Noel Park’s 1958 Corvette and Ross Thompson took home two wins, one in his 1964 Corvette and the other in a 1976 Corvette. Larry Bowman’s 1963 Corvette Grand Sport chassis 003 was among the standout entries that also included Steve Earle’s famed ex-Bob Bondurant #614 Corvette from 1959. Additionally, the paddock throughout the weekend was filled with a variety of collector Corvettes, including a 1956 Corvette SR2 and a 1994 Guldstrand Corvette GS90 Coupe. Honored guest Paul Reinhart, of Twain Harte, California, drove his purple-and-orange 1957 Corvette to second place in his group, and received the Sonoma Historic Cup – “The Phil Hill Trophy” – from event organizer Steve Earle. Reinhart, who raced Corvettes in the early days, competed against Carroll Shelby’s Cobras with his Sting Ray coupe. He began racing Corvettes in Northern California in the late 1950s and in 1962 was crowned Pacific Coast SCCA B-Production champion. 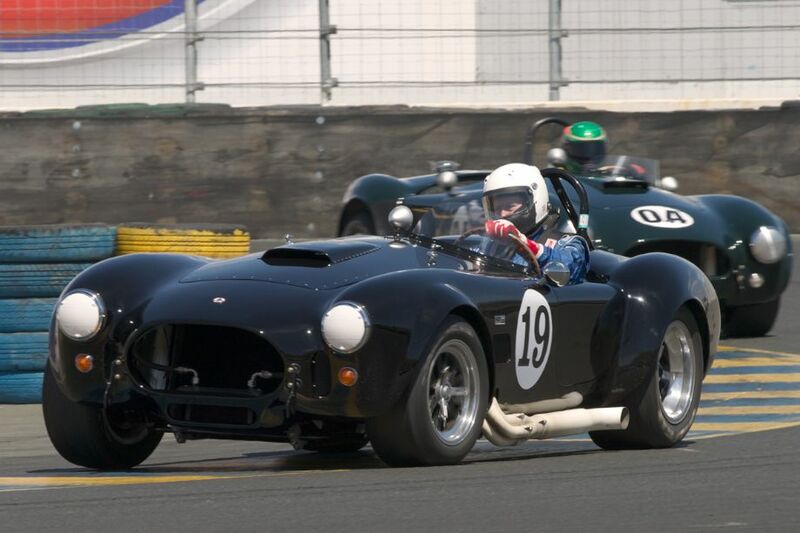 From the impressive line-up of Pre-War entrants to the fan-favorite Trans-Am and Can-Am cars, the crowd was treated to close competition among many classic race cars from the last 100 years at the 27th annual historic-car event organized by General Racing Ltd. Among the notable entrants at the 2013 Sonoma Historic Motorsports Festival included the Cordell Bahn’s 1927 Bugatti Type 35C; 1935 Alfa Romeo 8C-35 of Peter Greenfield; center-seat 1959 Porsche 718 RSK of Neil Alexander; Jon Shirley’s 1934 Alfa Romeo Typo B P3; 1932 Alfa Romeo P3 driven by Greg Whitten; Peter Giddings in his 1935 Alfa Romeo Tipo 8C-35; Tom Price’s 1932 Alfa Romeo 8C 2300 MM and 1949 Aston Martin DB2 Prototype; Dean Meiling’s 1954 Jaguar D-Type; and the 1971 McLaren M8F and 1972 Gulf Mirage M6 of Chris MacAllister; among others. Jeff Abramson posted double-header victories for the second consecutive year, taking the victory in both Group 2 (1955-1962 Production/GT under 2000cc) with his 1959 Morgan +4 and Group 11 (1959-1966 Sports Racing Cars) in his 1966 Lotus 23C. Additional group winners included a 1964 Ginetta G4, driven by Jeff Kline, David Swig in a 1957 Monsterati Special, Dan Luckow in a 1969 Mercury Cyclone, 1968 McLaren M6B of Steve Cook and Ken Epsman in a 1976 Dekon Monza. The Sonoma Historic Trophy, Pre-1940 Category, presented for excellence in presentation, went to the 1935 Alfa Romeo Tipo 8C-35 of Peter Giddings, while the Post 1940 Category was awarded to Larry Bowman’s 1963 Grand Sport Corvette. 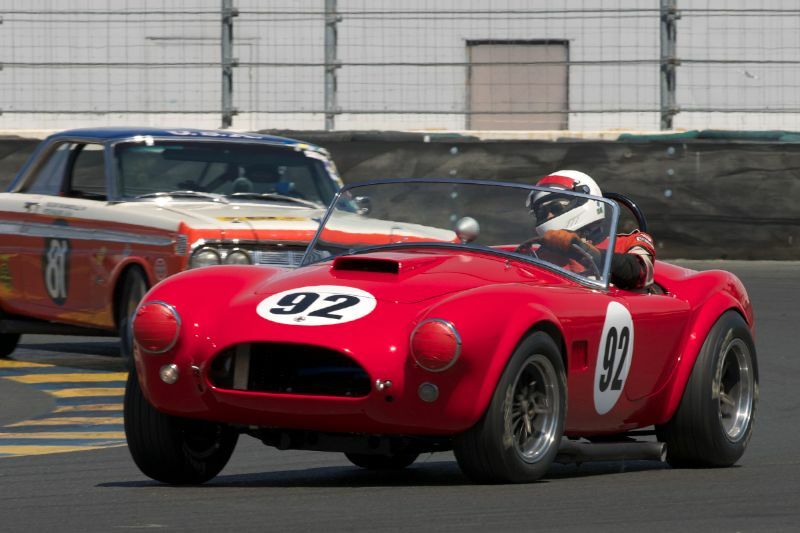 Photographer Dennis Gray documented the 2013 Sonoma Historics, bringing the following photo gallery that shows the strong field entrants at this year’s event. We split up Dennis’ 300 pictures into two galleries. The first gallery starting below features our favorite 100 images, all displayed in the full-width view of our website, while the second gallery (and race results) can be found on the last page of the article and gives a comprehensive view of all the photographs. 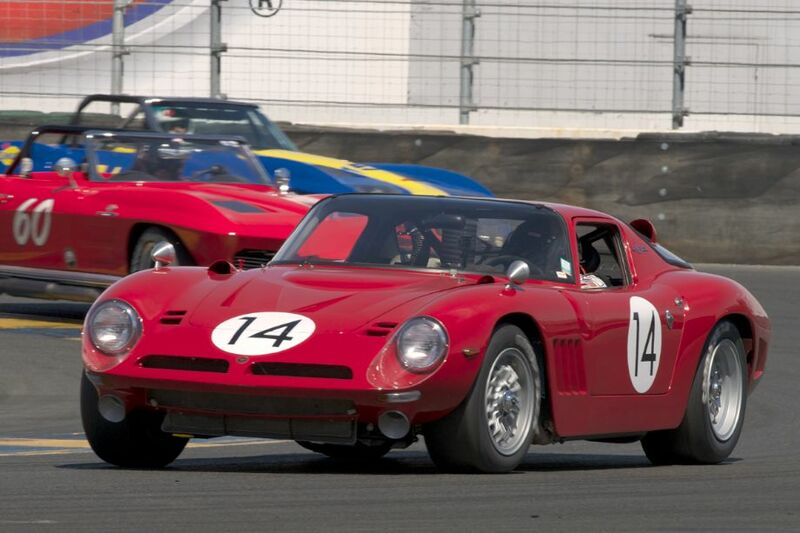 Chip Fudge in his 1968 Bizzarrini GT America in eleven. 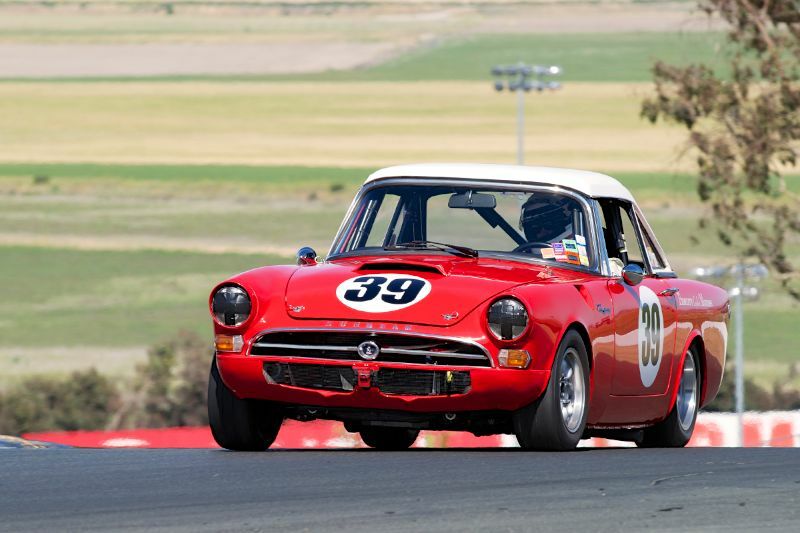 Grant Lipsky’s 1965 Sunbeam Tiger in eleven. 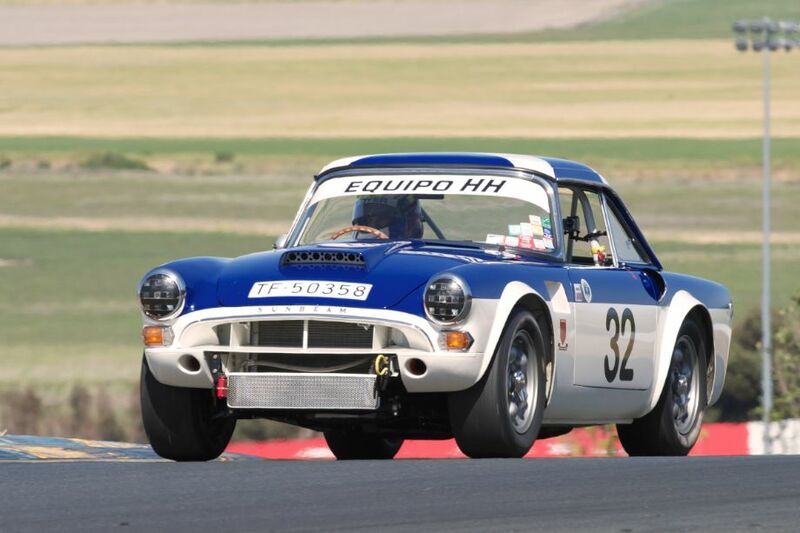 1965 Sunbeam ‘Monster’ Tiger driven by Tom Dyer in two. Shelby Cobra 427 driven by Don Lee in eleven. Steve Earle’s 1963 Corvette in eleven. 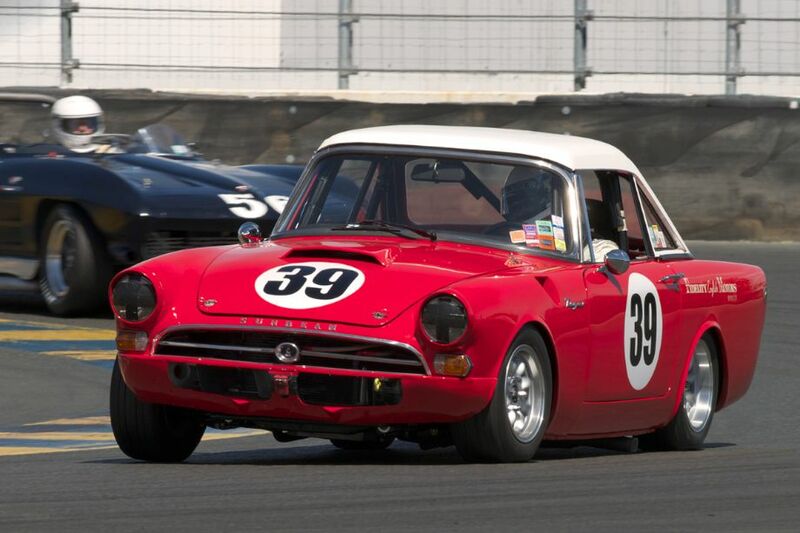 Grant Lipsky’s 1965 Sunbeam Tiger, a well prepared and driven example. 1966 Elva MK. 8 driven by Michael Malone in turn two. 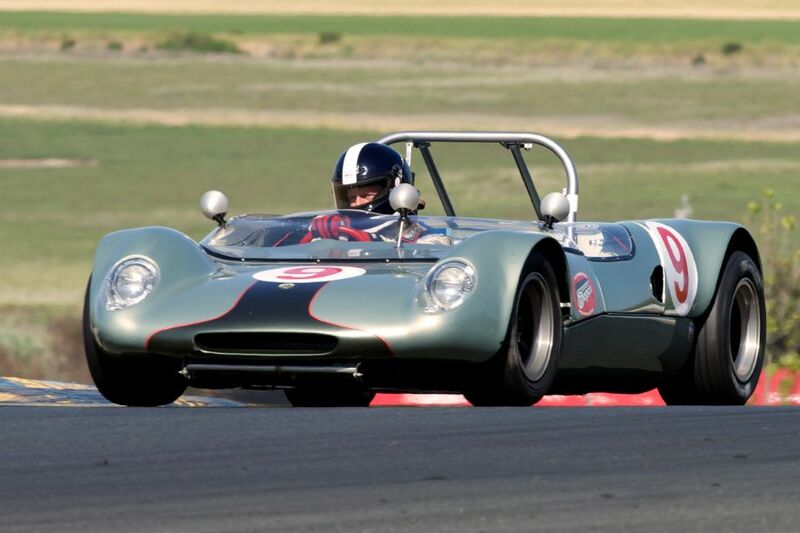 Jeff Abramson’s 1966 Lotus 23C in two. Great images – really like Gallucci’s Scorpion! Wonderful photo coverage as always Dennis. Beautiful! that was a great weekend. Saw some fantastic racing, meet some great people, super weather! Love checking out all your beautifuil pics!